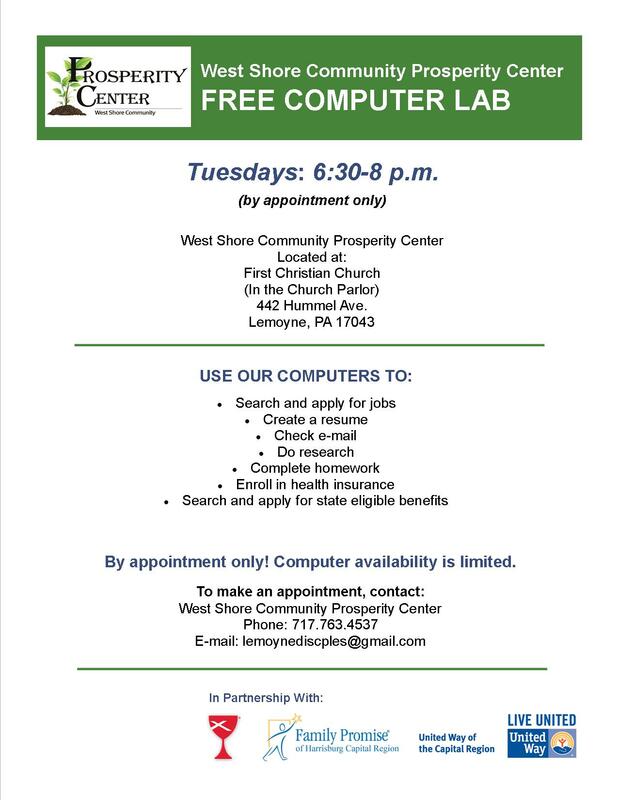 In coordination with the United Way, we are able to offer a free Computer Lab for individuals who do not have access to either internet, a computer or printer. If you are interested in utilizing the computer lab, please call the Church. We typically have appointments on Tuesday evenings.